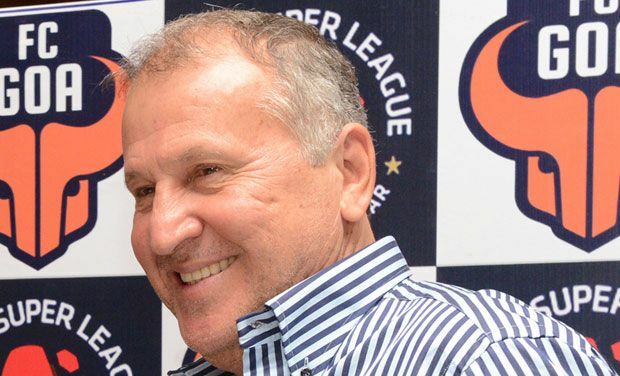 FC Goa and its head coach for the past three seasons, Mr. Arthur Antunes Coimbra (Zico) have mutually decided against exercising the option of extending the contract. Keeping the logistical challenges of the upcoming season in mind, the two parties amicably came to this decision. In its immediate next steps, the club is in the process of appointing a Technical Director who has the relevant coaching experience and scouting knowledge within the Indian footballing ecosystem. FC Goa strongly feels that this would be an important step in laying the foundations for the long term, and help achieve sustainable growth of the club and Indian players. Over the time, the club is keen to ensure that the dependancy on foreign players is limited and this in turn will give the Indian players the platform to make the biggest impact. FC Goa Management has nothing but immense respect and gratitude towards Zico and his dedicated support staff for their role in helping the club establish its foundation. Zico will always retain a special place in the club’s history. FC Goa has always strived to be a club belonging to every Goan, and will continue the legacy of binding Goa through the realms of the beautiful game.